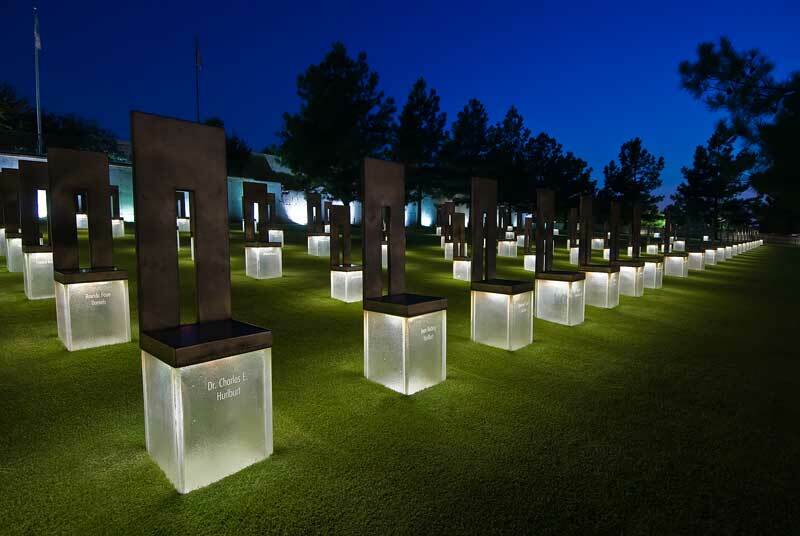 On April 19, 1995, a truck-bomb exploded outside the Alfred P. Murrah Federal Building in Oklahoma City, leaving 168 people dead and more than 650 injured. Years later on April 15, 2013, runners and spectators at the Boston Marathon were left in disbelief as they struggled through the aftermath of another explosion. Both incidents were labeled terrorist attacks on United States soil and left many people suffering physical and emotional pain. In each case, many people did not realize all of their injuries until weeks and months after the attacks. Many returned to their doctors complaining of ringing or a stuffiness in their ears. Some simply could no longer hear and the lingering effects of those infamous days became apparent to both the patients and the medical community. Hearing loss is a disability that usually inches its way into lives and slowly creates a disability that shows itself through interaction with other people. However, there are times when hearing is ripped away after a bomb or blast. It is often times called the silent disability, because while it cannot be seen, it is very real to the person experiencing the effects, and at times can become debilitating. Acts of terrorism have unfortunately increased the incidence of exposure of civilian populations to blast-induced ear injury. 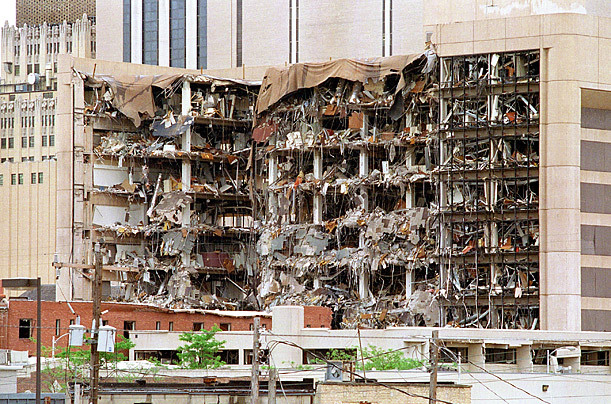 For instance, a longitudinal study of individuals exposed to the 1995 Oklahoma City bombing revealed that, at one year after the blast, 76% of the survivors experienced symptoms of tinnitus (a ringing or buzzing in the ears) and 57% exhibited symptoms of hyperacusis (over-sensitivity to certain frequencies and volume). Moreover, 76% of these survivors also exhibited sensorineural hearing loss (damage to the nerves or parts of the inner ear) at one or more frequencies, with 24% requiring hearing aids to compensate for lost function (Van Campen 1999). Similarly, long-term hearing loss and tinnitus were reported by several medical facilities within the area after the Boston Marathon bombing in 2013 (Kotz 2013). They found that many people did not visit a physician or medical facility until many months after the incident, assuming their symptoms would disappear on their own. A 2004 Finnish study examining the effects of a mall bombing on hearing loss found that 66% of the 29 patients had tinnitus, 55% exhibited hearing loss, and 28% presented with sound distortion, demonstrating that anyone standing within 230 feet of the explosion exhibited some type of ear injury (Mrena 2004). Scientists have concluded that “although aural blast trauma is not life threatening, it can be life changing and disconcerting. Until there are definitive medical therapies that promote healing of inner ear structures, professionals need to understand the nature of the injury in order to provide state-of-the-art counseling and intervention” (Van Campen 1999). This is our goal at Hough Ear Institute, to provide the best therapies available and to discover new methods and technologies that lead to the healing of hearing loss. We are working toward solutions. This is our goal at Hough Ear Institute, to provide the best therapies available and to discover new methods and technologies that lead to the healing of hearing loss. The primary mechanisms for deafness are the loss of cochlear hair cells through loud noise, explosions, toxins, or aging. Scientists in our labs are working to find ways to regenerate these inner ear hair cells. For many years, this was thought to be impossible, but in our labs, there is a promising new discovery and we are pursuing it with enthusiasm. Researchers at Hough Ear Institute have discovered that cells surrounding auditory hair cells in the cochlea can be reprogrammed to become hair cells by sending them specific molecular signals. By restoring these hair cells, hearing is reestablished. This regeneration technology is for people with long standing hearing loss – people who have suffered for far too long. Also, the development of a pill to reduce hearing loss after a blast (Ewert 2012) was discovered and is now completing Phase 1 of FDA trials. At Hough Ear Institute, we not only have a desire to help people hear the sounds around them, but we also want to see people connected relationally with friends and family instead of isolated from them. As time has shown us, recovery from these bombing events is its own marathon. Wounds heal more slowly that we would like and sometimes new cures must be realized to move forward. At Hough Ear Institute we want to remember those whose lives were taken and those who will be forever affected by their loss. We also want you to know that we continue to work for those that are living and suffering every day with hearing loss because of these circumstances. We move forward in discovery so that people with hearing loss might one day hear again. Ewert, DL; Lu J; Li W; Du X; Floyd R; Kopke R; Antioxidant treatment reduces blast-induced cochlear damage and hearing loss. Hear Research. 2012 Mar; 285(1-2):29-39. doi: 10.1016/j.heares.2012.01.013. Kotz, Deborah. 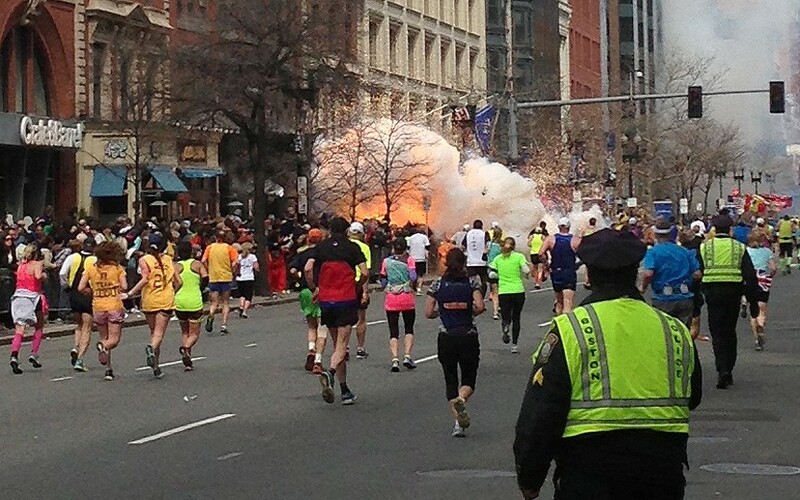 “Many Close to Bomb Blasts May Experience Hearing Loss, Ringing in Ears – The Boston Globe.” BostonGlobe.com. 18 Apr. 2013. Mrena R, Paakkonene R, Back L, Pirvola U, Ylkoski J. (2004) Otologic consequences of blast exposure: Acta Otolaryngol 124: 946-52. Van Campen, Luann E.; J. Michael Dennis; Renee C. R. Hanlin; Sandra B. King; Amy M. Verderman; One-Year Audiologic Monitoring of Individuals Exposed to the 1995 Oklahoma City Bombing. Emmitsburg, MD: National Emergency Training Center], 1999. Print.